During the 19th annual HLRS Results and Review Workshop at the High Performance Computing Center Stuttgart, the steering committee of HLRS chose three particularly excellent research projects to honor them with a special trophy: The HLRS Golden Spike Award. 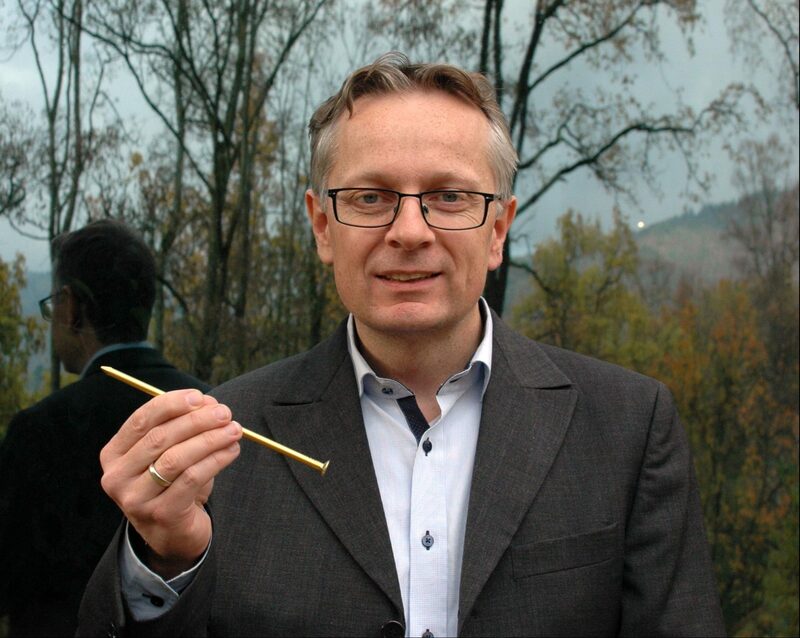 One of the recipients is Prof. Volker Springel, head of the HITS research group Theoretical Astrophysics (TAP). He was awarded for his work in the “The Illustris++ Project: The Next Generation of Cosmological Hydrodynamical Simulations of Galaxy Formation”. The Decision criteria for the awarded projects were: Scientific relevance (top in their research field), imperative of high performance computing for their research, optimal usage of HPC equipment in terms of optimization, parallelization and overall performance, presentation format of the results at the Review Workshop.